Tactiv Pty, developer of the enQuire project management solution, is a software development company who specializes in re-configuring existing applications and developing cloud-based solutions. Tactiv also offers consulting, training, and other services. Tactiv is an international leader in the provision of Software-as-a-Service products (SaaS). 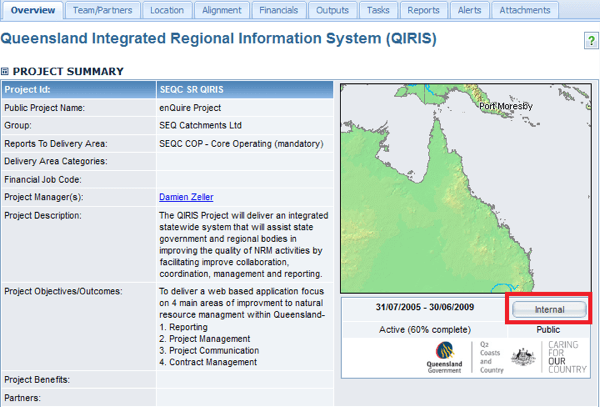 Tactiv released enQuire in 2005 in order to meet the business requirements of the Australian government, Queensland government, and the Queensland regional bodies. As a contract, grant, and project management software, enQuire allows organizations to manage and report on their activities. It can be used for strategic planning, allowing organizations to manage the core business administration tasks and reporting requirements without duplicating efforts. enQuire has been adopted by many clients in the health sector. It was even selected by World Health Organization (WHO) to manage its projects. enQuire project management software is made for flexibility and operating at scale, allowing users to efficiently deal with one client in the same way they would one hundred. enQuire guarantees the ability to be used as a grant administration solution as well as an enterprise-level project management and tracking software. Non-profits and government agencies are the target audience for this project planning software and they will find the specificity to their field useful. However, given Tactiv’s history as a company that tailors applications to their clients, the enQuire project planning software can also be customized to any organization’s needs. enQuire has been used as an online grant management system, for e-commerce, property management, contract creation, and state-wide reporting initiatives. Because it is web-based project management software, users have remote access to the system from anywhere in the world with a simple internet connection. Learn everything you need to know about Tactiv enQuire. Our experts will reach out to you shortly.